Marko Lampas, tenor, is a native of Greece. Mr. Lampas came to the United States in his youth and won scholarships from The Metropolitan Opera and The Juilliard School as a member of the American Opera Center. There his talents were fostered by the legendary Maria Callas when he won a scholarship to participate in her memorable master classes. 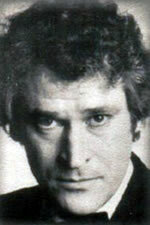 He is also known for his operatic stage directing talents. In 2000-2001 he was artistic director of the Genesis Opera, which presented five performances of Puccini’s Suor Angelica and Il Tabarro and six performances of Strauss’ Ariadne auf Naxos to critical acclaim. Mr. Lampas presently dedicates his time to teaching vocal technique along with his wife in their Heraklione Arts Studio in New York City. He has also had the opportunity to take time out to write about his musical travels and his life. He is the author of an autobiography, My Life In America And What Maria Callas Taught Me; a novel that blends reality and the supernatural called Mános’ Encounter With The Gods; and a suspense murder mystery called Falsely Accused. His other books include Adriana, a suspense love story; The Seductress, a tale of love, that most enigmatic phantom of life. And Meow! This is my story Pandora. See: ByMyEbook for more information. 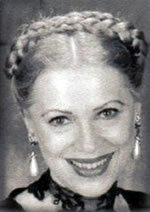 Barbara Iona Miller, soprano, was born in Brooklyn, New York. A graduate of The Juilliard School, she has appeared in opera and concert throughout Europe and the United States. She has performed the major Puccini and Verdi heroines with The National Opera Company, Lake George Opera, Juilliard Opera, Hartford Opera, and Palm Beach Opera as well as at Kennedy Center and Carnegie Hall. European critics (Italy, Germany, and Bulgaria) have praised her "fine vocal technique . . . gifted with a voice worthy of attention.” The American press has said she “sings with power and lustre . . . she is capable of moments of rare beauty”; “an equally fine actress and singer.” Recent appearances have been as Liứ in Turandot, Ariadne in Ariadne auf Naxos, and the title role in Suor Angelica. She has sung Tatyana's Letter Scene from Eugene Onegin (in Russian) and excerpts from Otello along with her husband, tenor Marko Lampas, with the Staten Island Symphony Orchestra under Maestro Anthony Aibel and Tosca with the BMCC Downtown Symphony Orchestra. Ms. Miller has appeared in the Donnell Library Concert Series, along with her husband, as Adriana in “La Voix d”Adrienne Lecouvreur,” a piece which she conceived and directed in “Around the World in Opera & Song.” In 2000-2001 she was co-artistic director of the Genesis Opera along with her husband Marko, presenting five performances of Puccini’s Suor Angelica and Il Tabarro and six performances of Strauss’ Ariadne auf Naxos. She and Marko teach voice in their Heraklione Arts Studio in New York City.